Not quite. Gerald Ford was President. That Super Bowl took place January 9, 1977 in the Rose Bowl. Carter was inaugurated January 20. 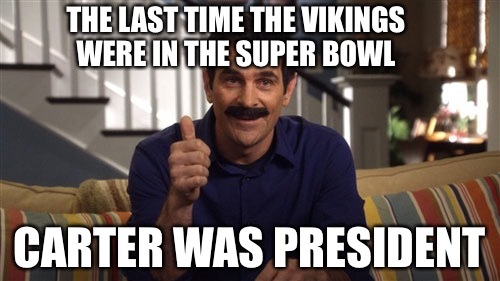 It was the last of the Vikings' four Super Bowls, all of which they lost.